Yes, it's here! Know how I can tell? 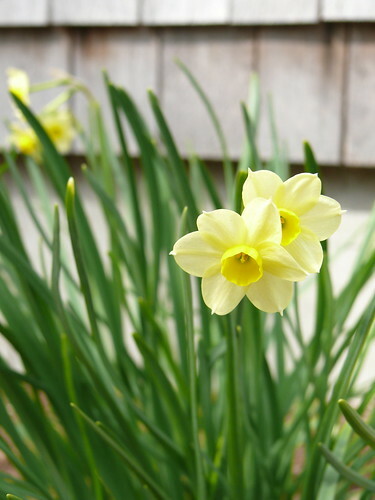 My taxes are done, the daffodils are up, there are newborn lambs at Squam Farm, and visitors are starting to appear around the island on the weekends. 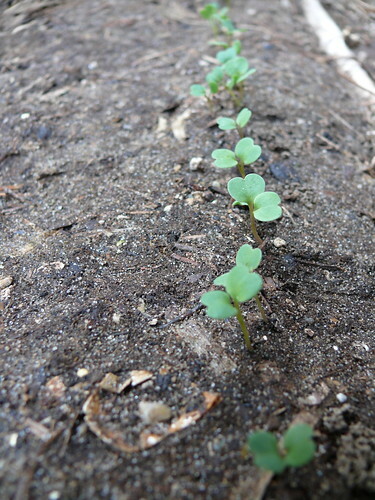 The arugula and lettuce seedlings have punched through the soil in my garden. It always amazes me that these delicate little sprouts can survive such chilly weather, but they actually thrive in it. The peas have only just started to gingerly poke through, slightly behind the greens. I wish there were more colorful signs of spring in my garden, but without heroic efforts involving wire, deer netting, and foul smelling sprays, tulips and hyacinths are little more than convenient snack foods for our neighborhood deer. To be honest, I just don't have the energy. For reasons that are beyond my understanding, the deer will not eat the daffodils. They eat everything else, to be sure, including my chives and lilies, both of which will rebound when the deer move on to what must be more delectable greenery later in the season. 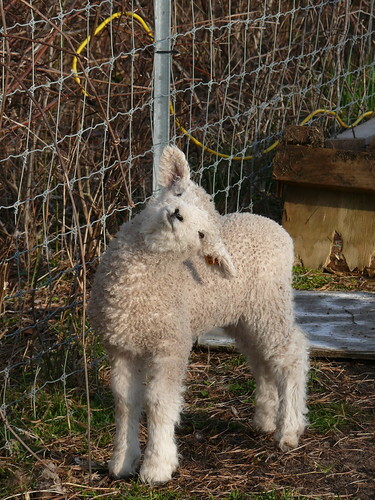 Did I mention the lambs? Some of the sheep in this flock provided the wool that I am using to weave rugs for the Nantucket Conservation Foundation.